Noise pollution can be defined as intrusive noise that disrupts, distracts, or detracts from regular functioning. And while people mainly think of noise pollution as a problem of the big cities, with the competing sounds of more people in a smaller space, noise pollution can also be found in suburban neighborhoods (in the form of leaf blowers, lawn mowers, and home construction) and even individual homes and offices at levels that can have a negative impact on your health and productivity. Airplanes—It’s been well-documented that noise pollution from airplanes has a significant negative impact on the health and wellbeing of those who live close to airports. This can include heart disease, high blood pressure, and chronic stress. Cars--One of the complaints of those who live in big cities or on busy streets is the disruption from the sounds of traffic. 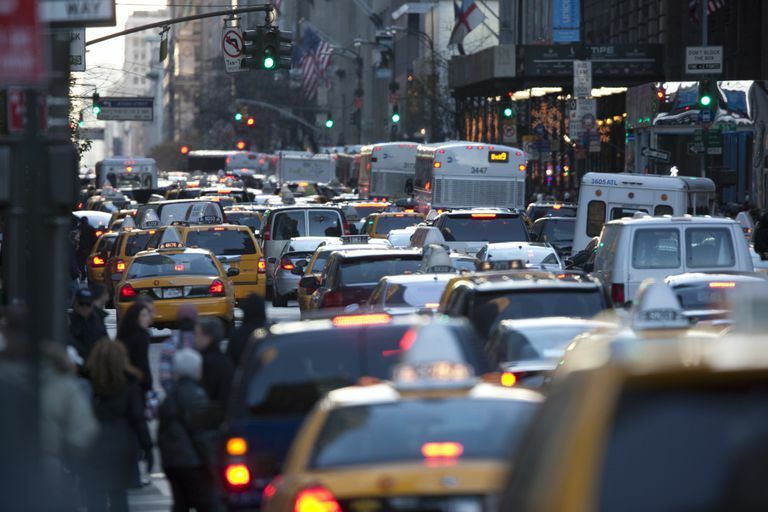 Interestingly, though, even low levels of traffic noise can be damaging to people, and traffic noise is one of the most commonly experienced contributors to noise pollution. Workplace Noise—Most of us may think of loud assembly lines or construction sites when we think of noise pollution in the workplace, and while these examples definitely apply, regular offices are not immune. With more people packed into busy office spaces, office noise is a common complaint. Co-workers who talk, drum their fingers on the desk or offer other distracting noises can decrease the productivity of those around them without realizing it. Home Sound--Many people don’t think of their homes as ‘noisy’, but if there’s a lot of activity in the home, including a constantly running t.v., this overall noise level can actually be a threat to concentration and a cause of stress. In fact, children from more noisy homes do suffer ill effects from this type of sound pollution that include less cognitive growth, delayed language skills, increased anxiety, and impaired resilience, according to a Purdue University professor in a related press release. Productivity: We all know that noise can be distracting, and research proves this. One study examined children exposed to airport noise and found that their reading ability and long-term memory was impaired. Those working in noisy office environments have also been found to be less cognitively motivated, and to have higher stress levels, according to a Cornell University study. Health: Perhaps the most serious problem created by sound pollution is the impact it has on our health. Because sound pollution can trigger the body’s stress response, one of its major health effects is chronic stress and the high levels of stress hormones that go with it. As a result, noise pollution has also been linked with health problems such as heart disease, high blood pressure, and stroke. It’s also been linked with musculoskeletal problems, as a Cornell University study on office noise found that those working in noisy office environments can also be less likely to ergonomically adjust their workstations for comfort, which can contribute to physical problems. Noise pollution can also impact sleep quality by preventing sleep and disrupting sleep cycles. And, perhaps most significantly, because chronic stress can lower your immunity to all disease, noise pollution is a general threat to health and wellness. Journal of Applied Psychology (Vol. 85, No. 5, pp. 779-783, 2000). Psychological Science (Vol. 13, No.5, Sept. 2002).